PR: SUMOSAM DELIVERS RIGHT TO YOUR DOORSTEP! Posted byEmpress Of Drac	 May 4, 2012 4 Comments on PR: SUMOSAM DELIVERS RIGHT TO YOUR DOORSTEP! Itadakimasu! Foodies rejoice! The legendary SumoSam has exciting news in store for all Japanese food enthusiasts. SumoSam takes diners’ experience to the next level with its all-new Delivery Service. Now you can enjoy your favorite Japanese-American fusion dishes in the comforts of your own home. Contact (032) 401-0643 or 0917-7957562 for a legendary Japanese dining experience. SumoSam delivers for free to the following selected locations around Cebu City: Ayala Business Park, IT Park, Escario and Gorordo area, Mabolo and Juan Luna areas. A delivery fee of P50 applies for deliveries outside of the selected areas and below the minimum purchase of P800. Delivery Hours are from 10:00 a.m. to 9:00 p.m. The first ever Japanese restaurant to deliver, SumoSam is sure to satisfy your Japanese cuisine cravings. Feast on the restaurant’s unique take on steaks, seafood and sushi at home, in the office or just about anywhere. Enjoy delectable delights for the whole family from authentic noodles, ramen, donburi and signature Wagyu dishes, classic tempura and sashimi, healthy options such as salads, tofu and seafood to fusion dishes such as pizza, all made of only the freshest and best quality ingredients. Cap off the meal with a selection of mouthwatering desserts. 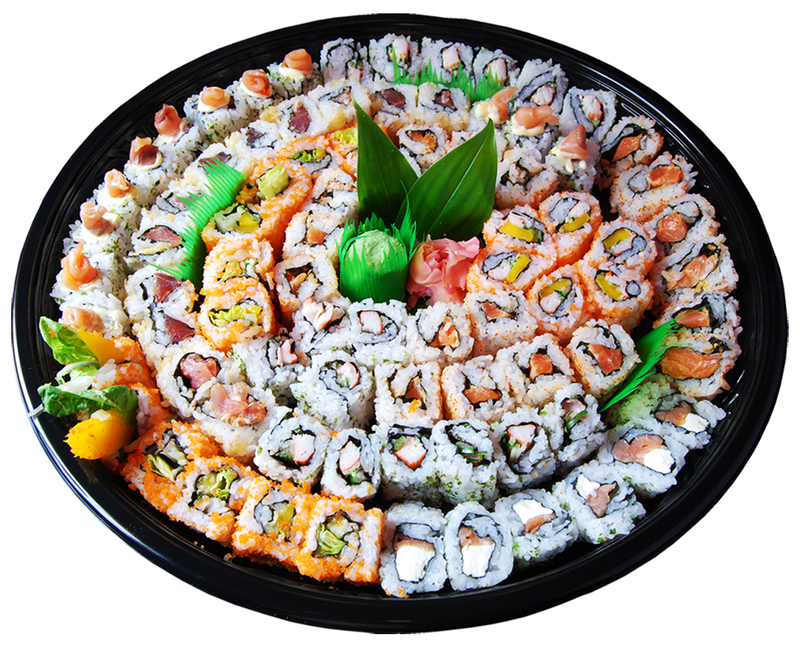 For parties, SumoSam delivers regular and large-sized party platters of assorted rolls, sushi and sashimi for up to 20 persons. All these sumptuous treats are simply just a phone call away. It’s the ultimate dining experience without having to brave the traffic, making it convenient and stress-free. With a diverse and creative menu selection, huge servings, reasonable prices, friendly and amicable staff and excellent customer service fit for a king, SumoSam is fast becoming the popular choice for get-togethers with friends and family. Get your SumoSam fix today. SumoSam is located at the ground floor of The Terraces, Ayala Center Cebu (beside TGIF) and is open from 11:00 am to 11:00 pm, Monday to Sunday. SumoSam also accepts catering, functions and private events. Like us on Facebook.com/ilovesumosamcebu or follow SumoSam on Twitter @ilovesumosam. Japanese cuisine is so much of nutrition that it is believed that the Japanese live longer than the rest of the world. But I as a vegetarian, will I have my option from Sumosam? Please let me know! I had a Japanese yesterday for the first time in my life. My partner was talking to me about wasabi a lot, but at the end, when I tried it, I found it really similar to mustard. Anyhow, very very delicious cusine. I found sumosam cebu’s website and I love it..I can see all the pictures of all food items they offer and all the information about the store. Hi , May I know your location in case we want to order for delivery. Your telephone number is not working. Please provide updated line so we can call you. Thanks. How much is the price per bilao as per your pictures above. Is that good for 20 persons?